For the Scrapbook Layout Challenge at the OWH Virtual Card Making Party. I used a sketch from the Scrapy Land blog and will enter this card there also. I was at the cottage when I made these four cards...which means I have very limited supplies. The whole thing was cut with my very old Silhouette. The sentiment is a stamp from Hero Arts. For Challenge #5 at the OWH Virtual Card Making Party using Sketch 171. Does the paper look familiar? Same paper I used in Challenge #4. Again, everything cut with the Silhouette. 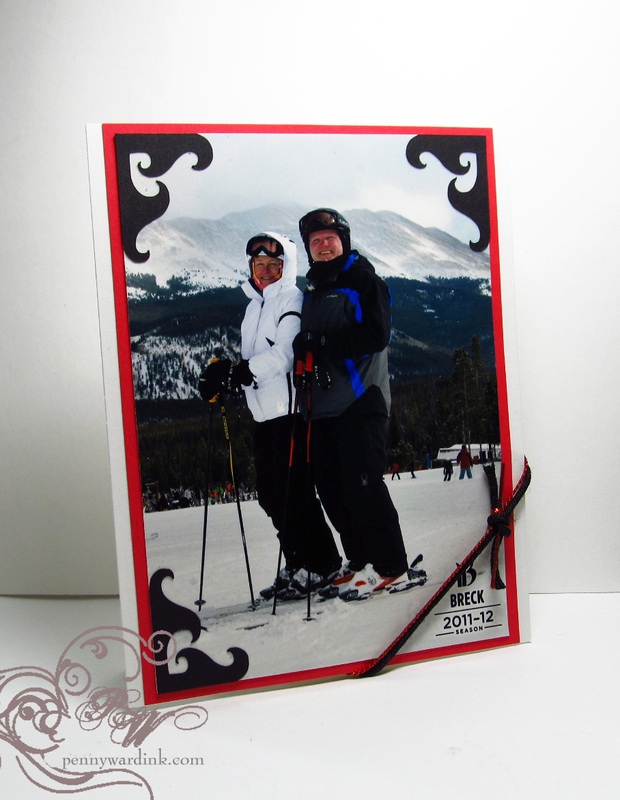 Background stamp is a retired one from Penny Black. Challenge # 6 is to use a photo on an AnyHero card. I added a mat and a few corners cut from Silhouette...done! The 7th challenge is a Summery card. Bees & Bunny stamped and colored with pencils. Very old corner punch and ran some American Crafts ribbon through it. Background is Squeeze til I Squeek (both stamps by Penny Black). Thanks for stamping by and as always I really do appreciate your kind comments. Cute cards, Penny! Love those curly photo corners on your AnyHero card. Thanks for playing along in my OWH VCMP challenge! Nice job on all the challenges Penny! I really like how you did the corners on your Any Hero card. 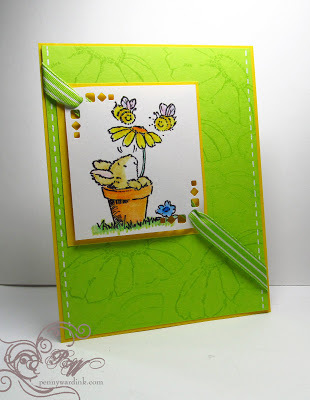 Your summer cards is too cute with the bees and the bunny! Have a great day! They're all wonderful! 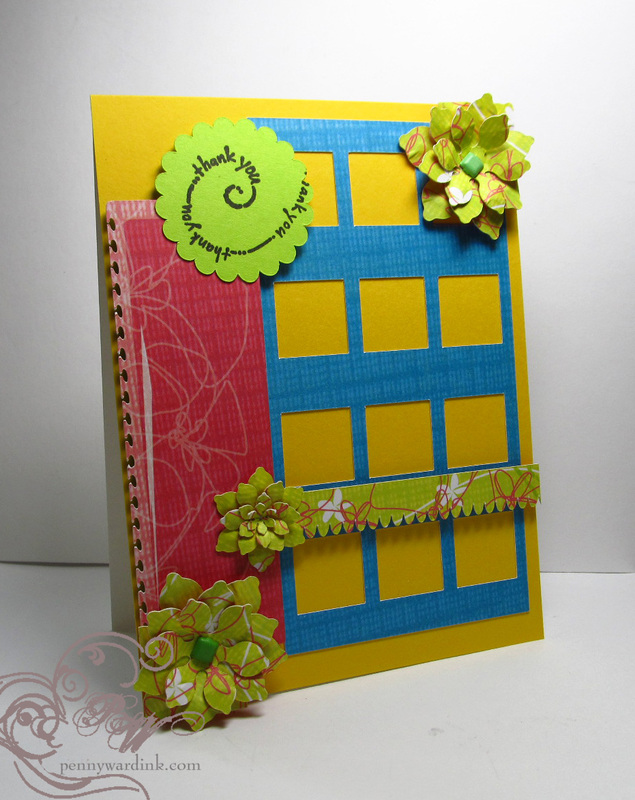 I love the happy colors and darling stamp on the summertime card, and the corner embellishments and ribbon are super touches! 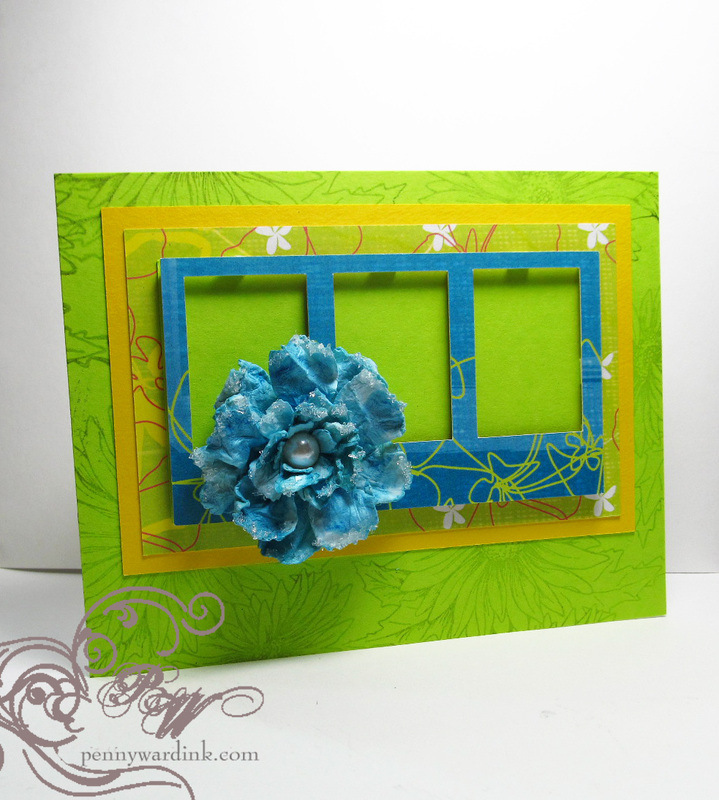 Thanks for shaing your card on my OWH card party challenge! Fantastic group of cards Penny. I love your take on this week's sketch. The colors are so vibrant and look beautiful together. The negative space of the three panels creates a great look. Great cards...the summer card is particularly sweet! tfs!! !